This post is just for the search engines of the world. When I moved to Portland, this was important to me and I didn’t find much. If you are a Wisconsin Badgers fan, and you are looking for a sports bar in Portland, OR to watch Badger games, the best bar I have found is The City. They have tons of TV’s. 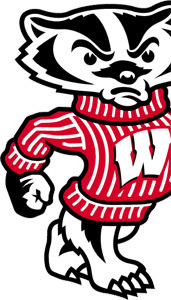 There are a bunch of other Badger’s fans there, so get your red on. They open early for important early games (8am! Breakfast!). They have bean bag toss. As far as Packer’s bars, the only one I know of is the Hawthorne Fish House.